In the internet age a new approach to distinguishing products and services is replacing the traditional, static concept of trademarks. This modern perspective regarding distinctive signs has brought us fluid trademarks. Discussing trademarks in terms of “a substance, as a liquid or gas, that is capable of flowing and that changes its shape at a steady rate when acted upon by a force tending to change its shape” was unthinkable in the past, but it has now become a hot topic, especially for brands looking for long-term strategies. Fluid trademarks identify a variety of alterations relating to the same mark. As a result, there is an original static trademark that is always considered the principal sign, in addition to many variations of the it. Fluid marks offer unique opportunities for brand owners to deepen and broaden the emotional connections between their brands and consumers, but they also present unique risks from a trademark law perspective and therefore require strong brand stewardship. Successful use of fluid marks therefore calls for close collaboration between creative trademark lawyers and marketing teams who will listen to them (and vice versa). Done right, adopting a fluid trademark can enhance both the brand owner’s intellectual property portfolio and the appeal of its brand. deployment and protection of a fair number of variations of the trademark with the explicit intention of using and protecting a variety of marks composed of the same core elements. The Italian system is particularly aligned to the European Union when it comes to dealing with and seeking protection for fluid marks. There are no known decisions or any rules of law that expressly provide for fluid trademarks in Italy. As a result, the only route by which this matter can be addressed – especially in connection with distinctive signs, alteration of distinctive signs and ornamental features – is to identify the essence of the fluid mark and apply current court decisions and the rule of law. 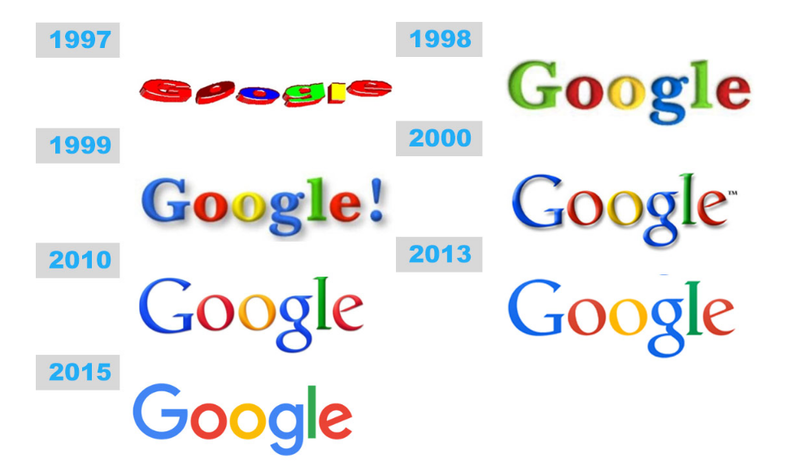 In other words, analysis should focus on fluid trademarks as distinctive signs and signs with a decorative purpose. Decisions according to the EU rule of law and Italian case law are particularly aligned in this matter, so that EU decisions apply to any case before the Italian authorities. In fact, protection for fluid trademarks is protection in accordance with trademark law. Decisions on use requirements are the leading track at EU level regarding variations of marks used in commerce that differ from the mark depicted on the registration certificate. As a result, “the law does not require strict identity between the registered and used forms of the earlier mark in order to meet the proof of use requirement” (Article 15(1)(a) of the EU Trademark Regulation). Rather, the law avoids imposing strict conformity between the used form of a mark and the form in which it was registered, in order to allow rights holders to vary their signs to better exploit them commercially. Thus, where the sign used in trade differs from the form in which it was registered only in negligible elements, the regulation envisages that the obligation to use the registered trademark may be fulfilled by furnishing proof of use which constitutes the form in which it is used in trade (23 February 2006, T-194/03, Bainbridge, EU:T:2006:65, Section 50, confirmed by 13 September 2007, C-234/06 P, Bainbridge, EU:C:2007:514, Section 86). In re Galletas Gullon SA v EU Intellectual Property Office (Case T-404/16), the EU General Court highlighted the main issues relating to alteration of trademarks that would apply to fluid trademarks. In essence, the applicant alleged that the “differences that exist between the mark used and the registered mark do not alter the distinctive character of the registered mark. It takes the view that the mark used is simply an evolution of the registered mark, as is shown by the case law of the court”. In contrast, the EUIPO and the intervener submitted that the distinctive character of the contested mark had been altered, since “the changes made to that mark concern its distinctive and dominant elements, such as the colours of the packaging and the house mark. Furthermore, they maintain that the case-law referred to by the applicant in support of its arguments does not help the applicant, since the shape of the packaging is not, in the present case, in itself highly distinctive with regard to the goods covered by the mark”. The General Court found that it must be kept in mind that Point (a) of the second subparagraph of Article 15(1)(a) of Regulation 207/2009 provides that use of an EU trademark in a form differing in elements which do not alter the distinctive character of the original as it was registered must also be regarded as use within the meaning of the first subparagraph of Article 15(1) of that regulation. The purpose of that provision, which avoids imposing strict conformity between the form of an EU trademark as used and the form in which it was registered, is to allow its owner to make variations which, without altering its distinctive character, enable it to be better adapted to the marketing and promotional requirements of the goods or services concerned. The material scope of the provision must be regarded as limited to situations in which the sign actually used by the trademark owner to identify the goods or services in respect of which the mark was registered constitutes the form in which that same mark is commercially exploited. In such situations, where the form of the sign used in trade differs from the form in which that sign was registered only in negligible elements, with the result that the two signs can be regarded as broadly equivalent, the provision envisages that the obligation to use the registered trademark may be fulfilled by furnishing proof of use of the sign which constitutes the form in which it is used in trade. In many circumstances, the Board of Appeal of Italy’s Patent and Trademark Office is of the same opinion, finding that proof of actual use includes proof of use of the earlier mark in a form which differs in certain respects but does not alter the distinctive character of the mark in the form in which it was registered. New theories in the field of marketing teach us to follow the trends and to adapt to a changing world, especially in connection with consumer taste. Likewise, trademarks are not carved in stone, meaning that companies should match the changing expectations of their consumers. It is always crucial to start with a strong trademark. 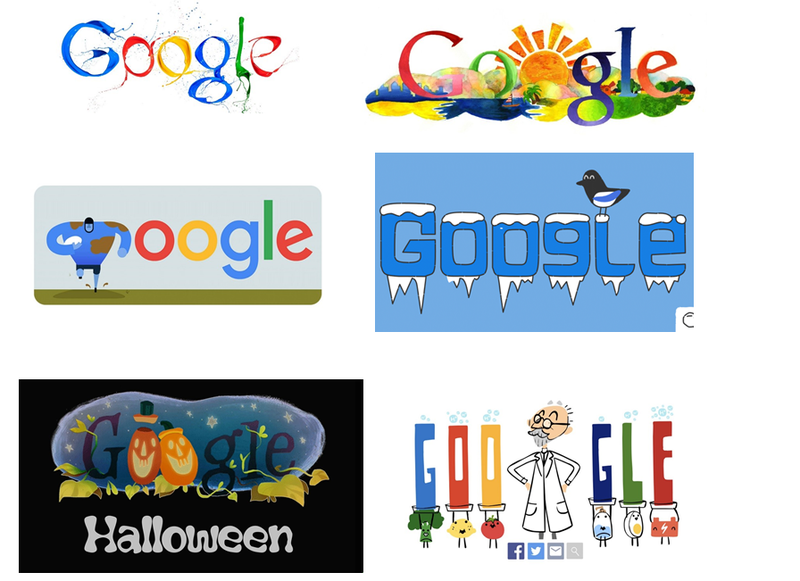 Before considering the fluidity of a mark, it is best to begin with the basics, namely selecting, enforcing and strengthening a secure and robust distinctive sign – there would be no Google Doodle without a strong Google sign. EU and Italian jurisdiction afford accessory protection through designs. Unlike many industrialised countries, the European Union and Italy allow protection of an abstract subject matter as a design through Locarno Class 32.00 (for ornamental features). Based on a cost-benefit analysis, regarding securing trademark registrations for the main distinctive sign, it may be convenient to file multiple design applications whose principal scope is ornamental more than distinctive. In other words, especially when there are so many variations of a fluid mark that it would be unreasonable to file for protection for each version, multiple designs allow for claiming ornamental rights on the same variations. Particularly in connection with signs applicable to actual products (ie, stickers), the multiple design application can successfully enable the owner to claim decorative rights on a theoretically unlimited number of designs filed in the same application. The scope of mixing and matching trademark and design tools can secure comprehensive protection for many aspects of the same sign, in particular, pairing trademark protection for the main sign with alternative variations. Branding companies and professionals have fully embraced the concept of fluid trademarks. Nevertheless, it is a field where close cooperation between IP attorneys and brand owners is required. Dealing with the fluidity of distinctive signs in terms of protection and enforcement is like the labyrinth of the Minotaur – the deeper we enter into the maze, the more difficult it is to escape. 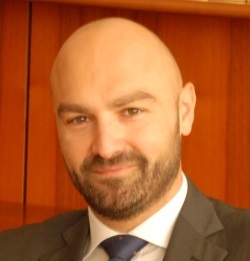 Vincenzo Melilli, a European trademark and design attorney, graduated from the Catholic Law School of Milan and obtained his LLM from Fordham University School of Law in New York. Before joining Bugnion SpA, Mr Melilli worked at a New York IP law firm where he specialised in trademark prosecution, infringement, counterfeiting and dilution. A member of the American Bar Association (ABA), the ABA Design Committee and INTA’s EUIPO sub-committee, he focuses on trademark and design matters. Mr Melilli also lectures on trademark and design law, as well as comparative IP strategies at various universities.